Why he turned to Poitras and Greenwald. 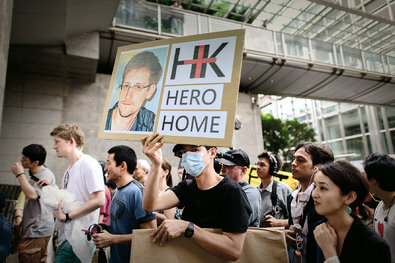 Snowden had read Greenwald’s article about Poitras’s troubles at U.S. airports and knew she was making a film about the government’s surveillance programs; he had also seen ashort documentary about the N.S.A. that she made for The New York Times Op-Docs. He figured that she would understand the programs he wanted to leak about and would know how to communicate in a secure way. After two weeks in Berlin, Poitras traveled to Rio, where I then met her and Greenwald a few days later. My first stop was the Copacabana hotel, where they were working that day with MacAskill and another visiting reporter from The Guardian, James Ball. Poitras was putting together a new video about Snowden that would be posted in a few days on The Guardian’s Web site. 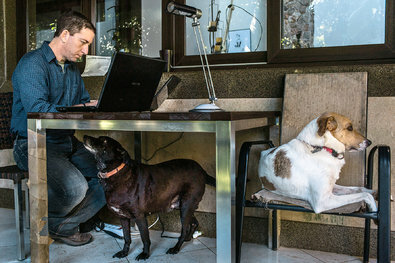 Greenwald, with several Guardian reporters, was working on yet another blockbuster article, this one about Microsoft’s close collaboration with the N.S.A.The room was crowded — there weren’t enough chairs for everyone, so someone was always sitting on the bed or floor. A number of thumb drives were passed back and forth, though I was not told what was on them. This entry was posted in Analize stanja on August 18, 2013 by Igor Koršič.